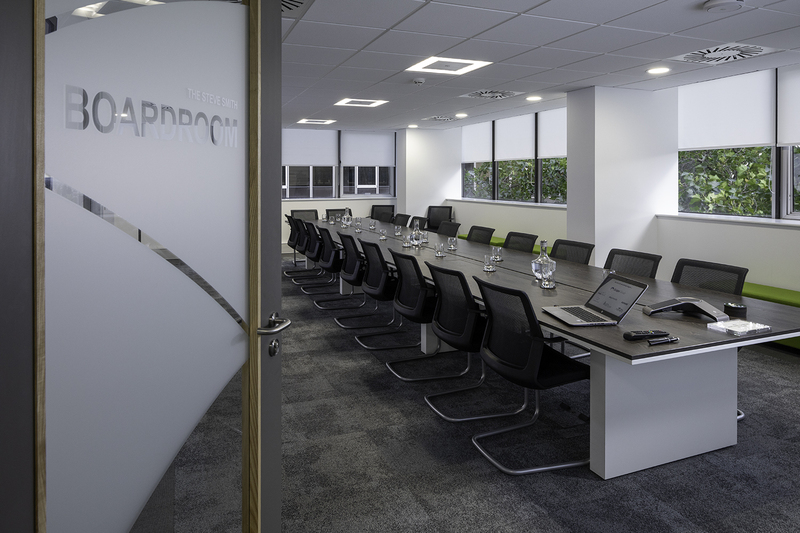 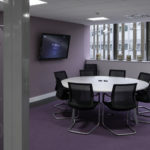 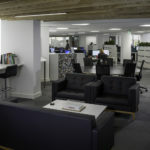 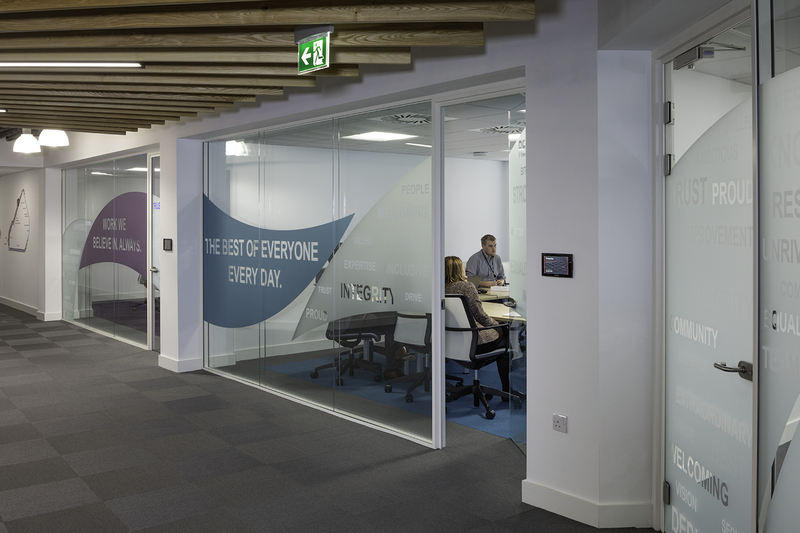 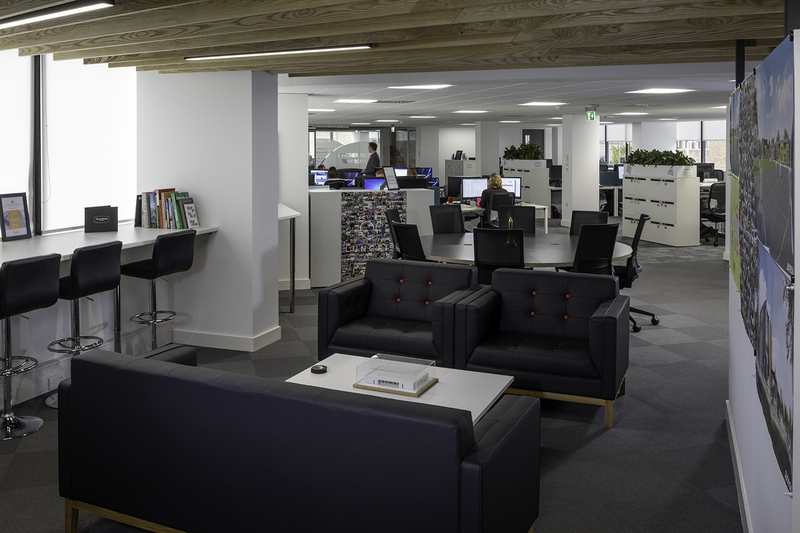 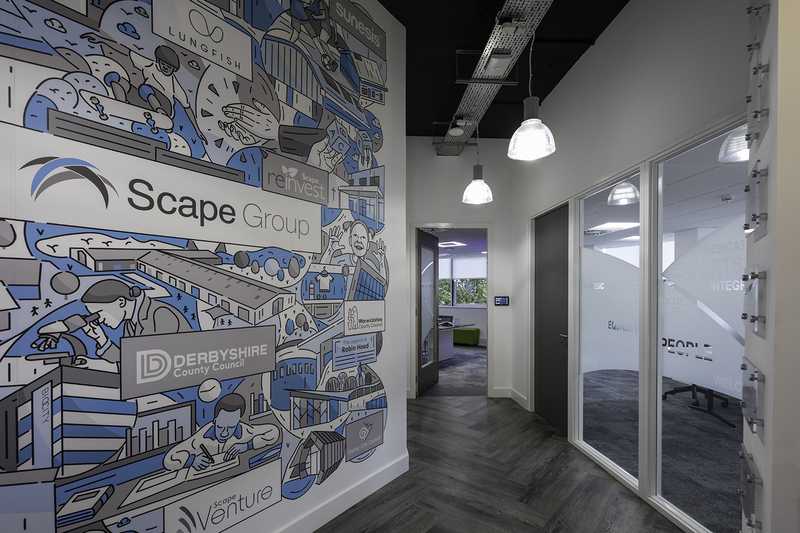 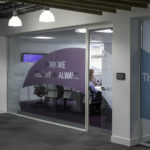 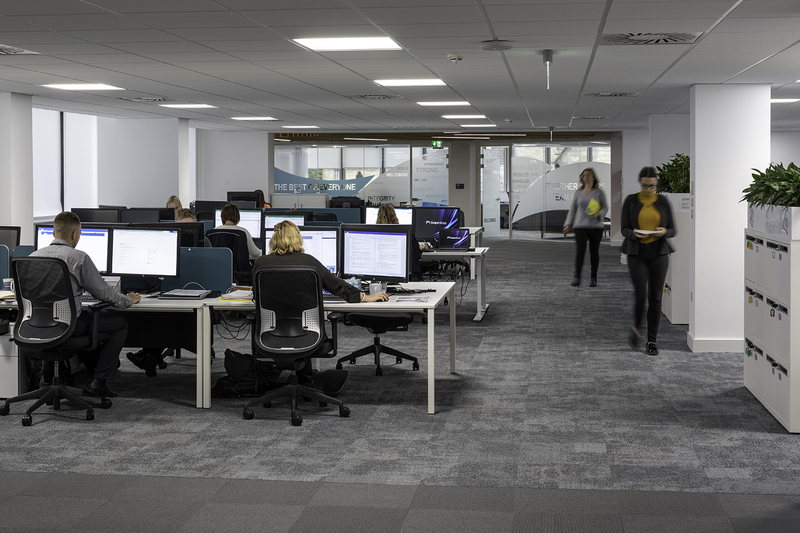 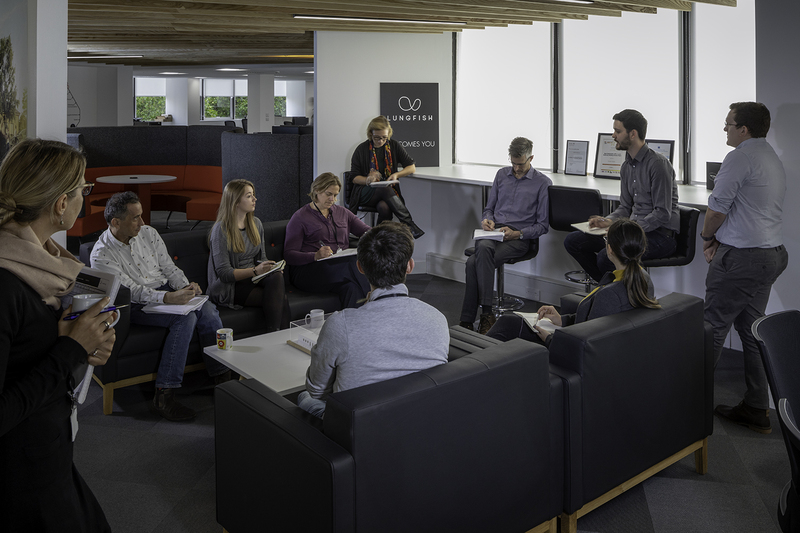 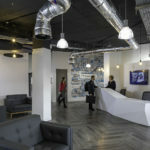 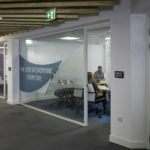 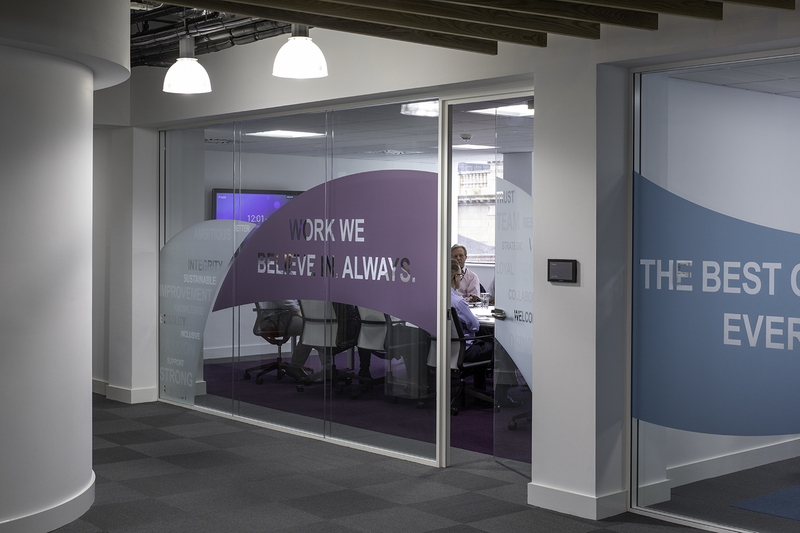 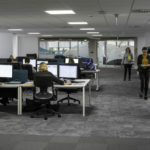 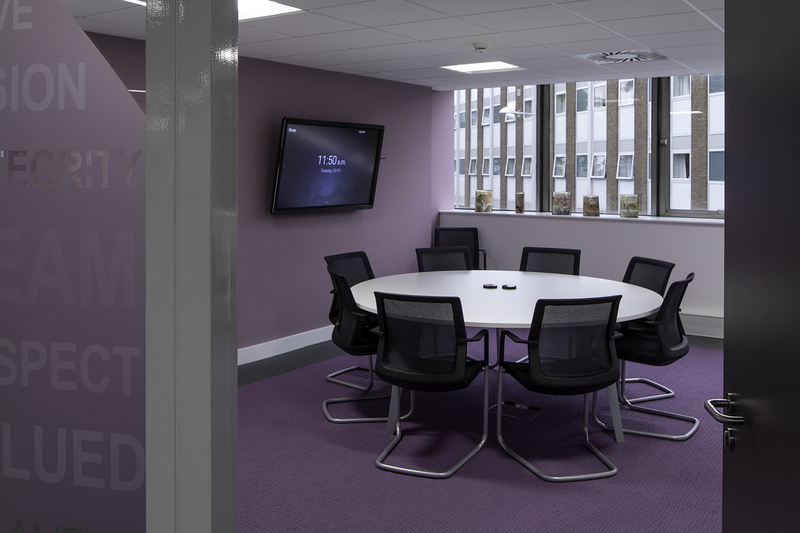 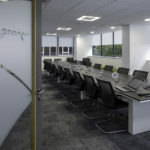 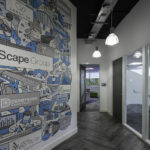 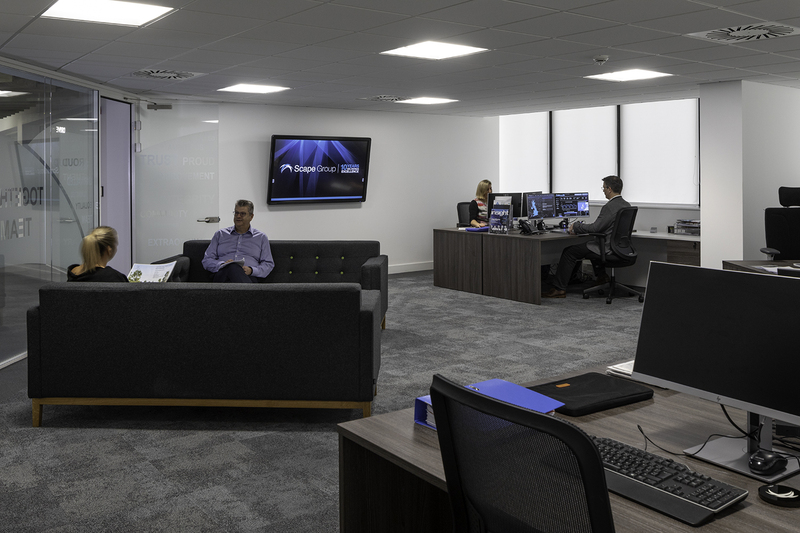 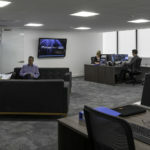 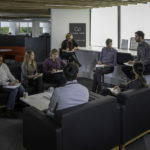 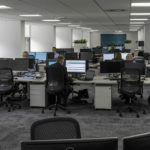 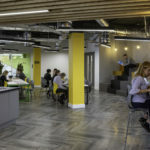 This contemporary office refurbishment scheme was undertaken as a CAT A landlord (Vivienne Properties) fit out and CAT B tenant (SCAPE group) refurbishment under one project. 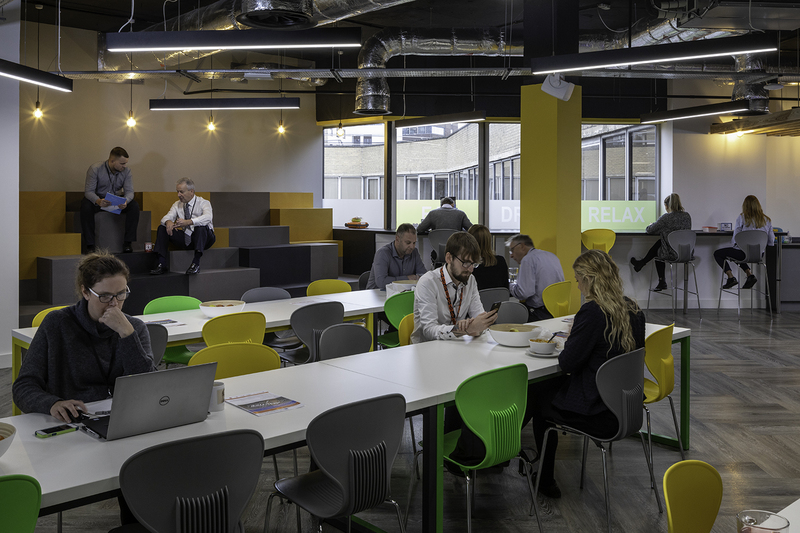 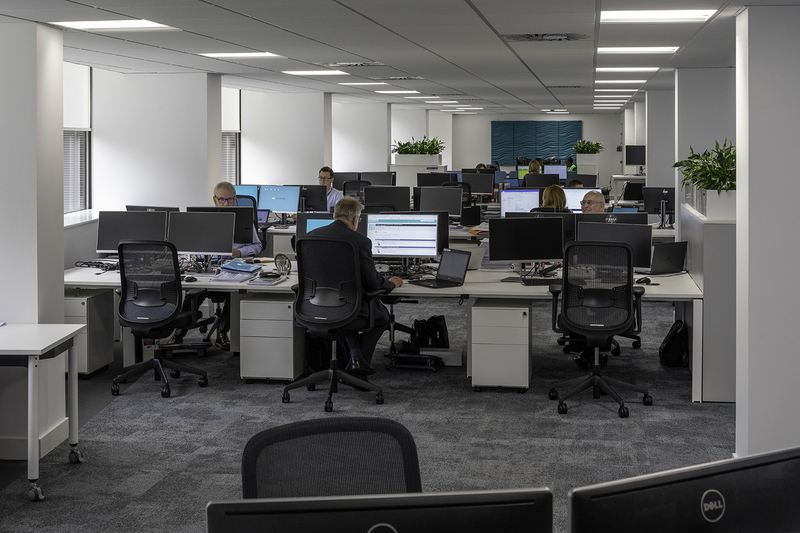 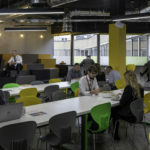 The project comprised the complete strip out back to shell which included extensive asbestos removal throughout the floor followed by a comprehensive refurbishment with provision of all new services to include HVAC, lighting, small power and data. 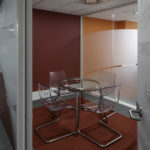 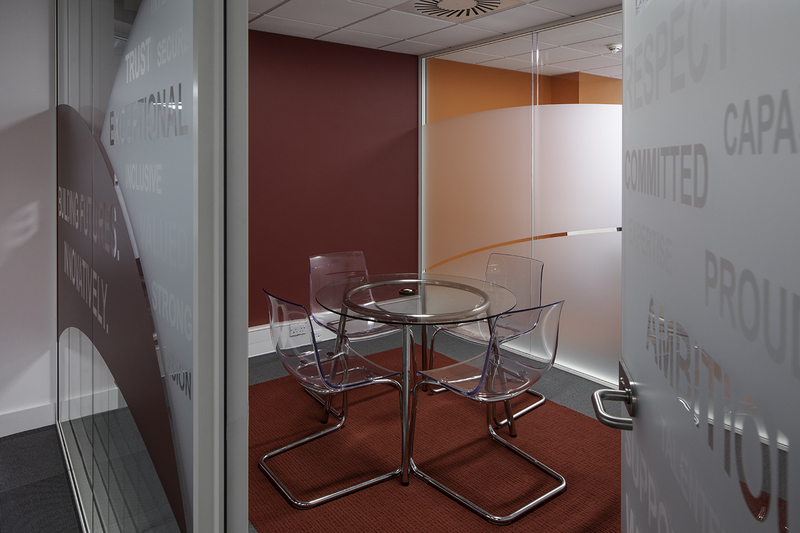 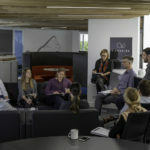 The incoming Tenant’s own in house Architects designed a contemporary office space with numerous break out areas, open plan and cellular office suites formed in a mix of frameless glazed and curved, feature partitioning. 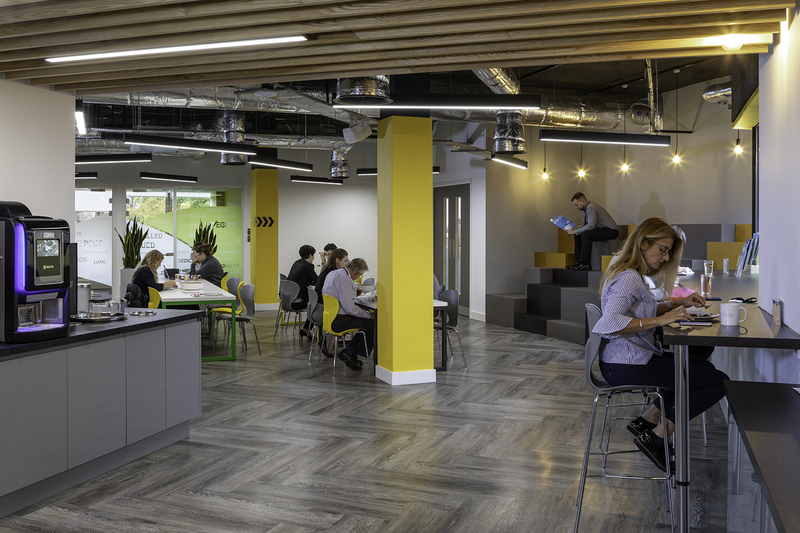 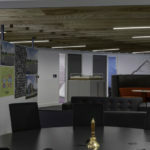 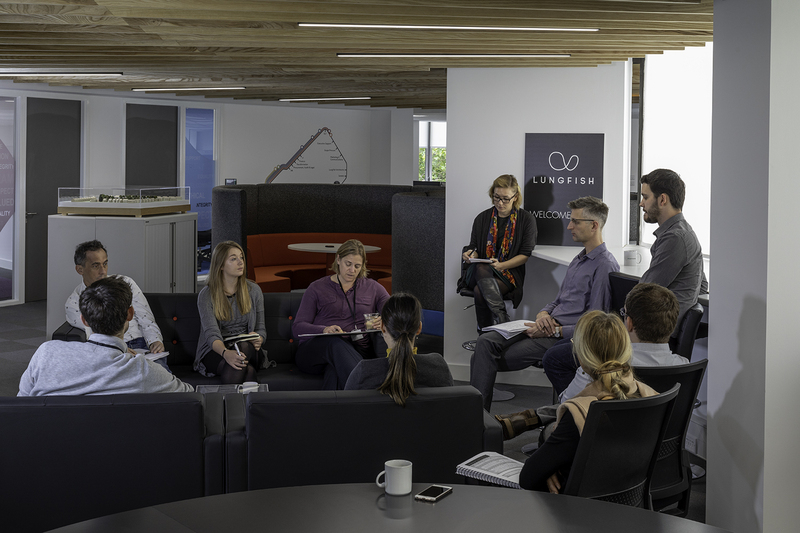 Open ceilings to the break out areas and corner transitions within the office are set off with a bespoke ash rafted suspended ceiling in parts and exposed services against a blacked out concrete soffit. 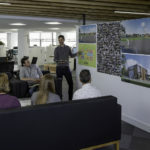 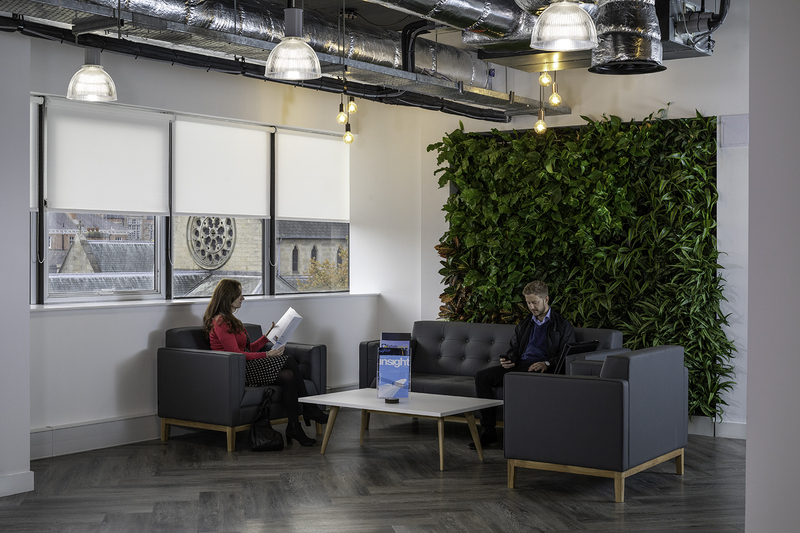 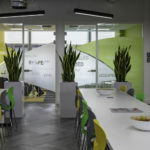 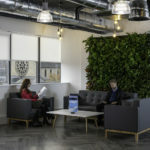 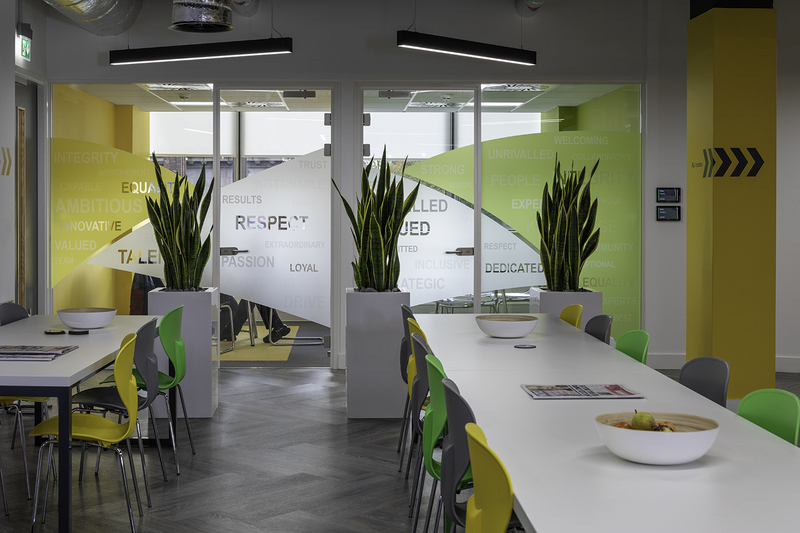 Features such as a living wall in the reception area all reinforce the intention of the designers to provide a modern and inviting working environment a million miles from the standard spec offices seen up and down the country. 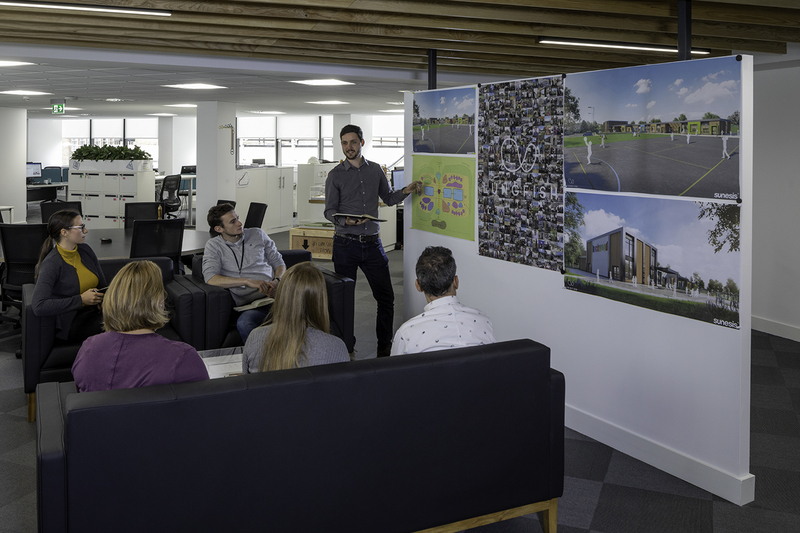 This project involved working closely with the client on what was a very detailed scheme with a number of bespoke elements requiring careful planning and co-ordination with the services installation to ensure that the exposed service and structure elements worked as intended. 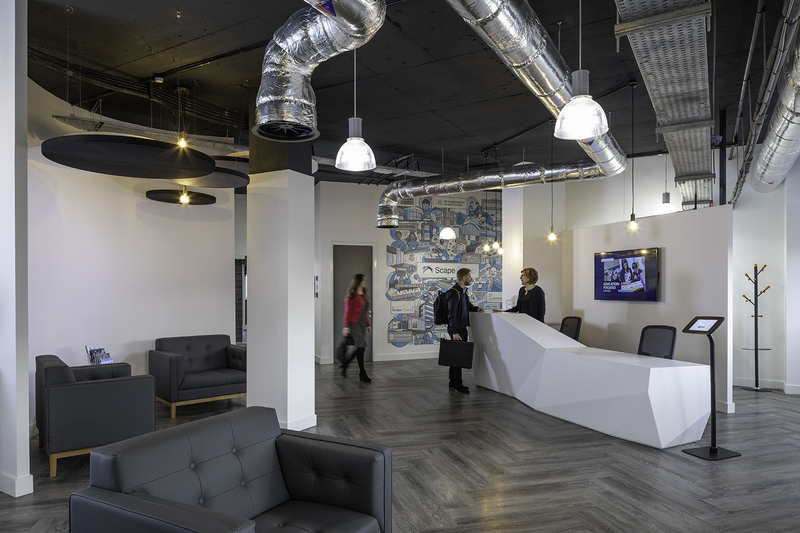 The results are fantastic with a vibrant and contemporary space, tailored to exactly meet the needs of the client now and in the future.